As requirement lists get longer and designs more complex, so do programs. Battlecell will have to be written in multiple code modules. The Workbook object's code module contains the event procedures necessary for handling open, close, and window resizing events. The Worksheet object's code module will also be required for its SelectionChange() event as well as the Click() event of the Command Button control. 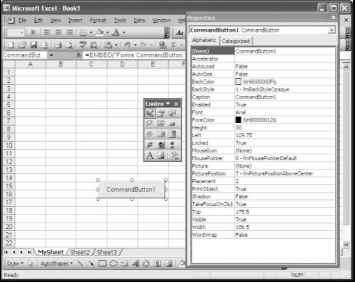 Since a worksheet serves the program interface, much of the program will be contained within its code module. Standard code modules are optional, but with longer programs, are usually good ideas for organizing the various procedures that make up the program.